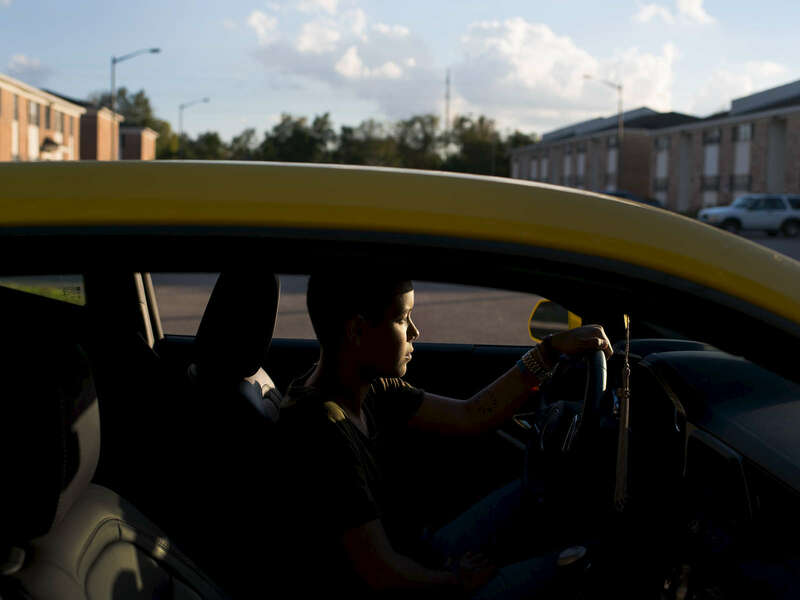 Pulse survivor Kaliesha Andino, 19, poses for a photo in her Camaro in Orlando, Fla., on Tuesday, December 13, 2016. With her part of the One Orlando donations she was able to buy her dream car. Andino was born in Puerto Rico and had recently moved to Orlando from Cleveland. She went to Pulse on June 12th with a couple friends. She’d never been before.